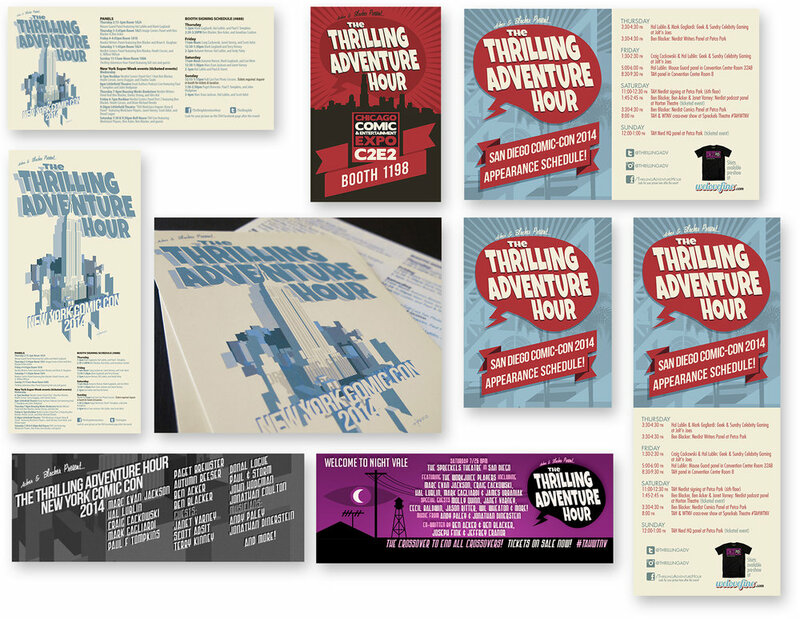 Print posters and supporting collateral — postcards in various formats, Facebook covers and feed graphics — for The Thrilling Adventure Hour. A show produced for the stage in Los Angeles, The Thrilling Adventure Hour was a sort of old-time radio play presented live in front of a theater audience and recorded for distribution as a podcast. Based in West Hollywood, they took the show on the road to conventions and special international performances, and they hired me to I create a series of promotional postcards, posters, and Facebook covers for the traveling show. After ten years of monthly live shows, the characters rode off into the sun and they effectively retired the show, but it was lots of fun getting to work with them, and I highly recommend the podcast. 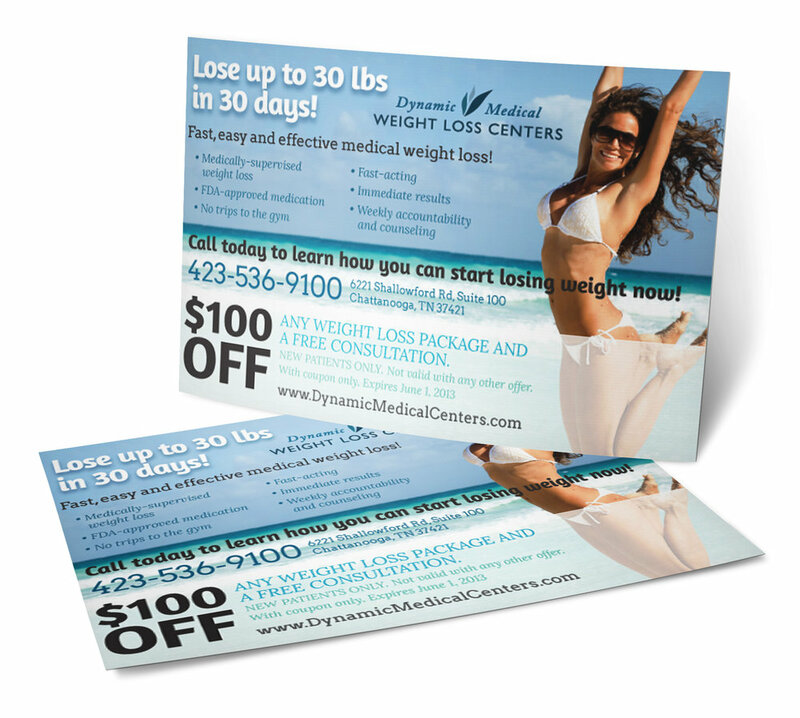 Logos, newsletter, brochures, flyers, and postcards for Health Solutions/Dynamic Medical in Murfreesboro, TN. The project included a logo, brand color scheming, newsletter, responsive website, brochures, postcards, and other miscellaneous collateral, all with consistent aesthetics and messaging. The website was built on the Wordpress platform, and features a strong, flexible grid structure, and modularity to make it responsive and mobile-friendly. Logo, flyers, sell sheets, and services catalog for Apple Corporate Wellness. Above and below: one-sheet flyers and digital presentations for clients. Below: Product catalog design and production for KR Ideas, in California, who makes hand-made foot stools. Above: Postcard for West Vinings Dental Aesthetics, and a pair of promotional one-sheets/fliers for a couple of related health clinics in Tennessee. Below: Logo and print newsletter design for Dream Kitchens of Georgia, a high-end Atlanta-based kitchen remodeling studio. Above: Book cover/dust jacket designs. Always is a work of fiction dealing with Hollywood history blended with spirituality and romance. Renewable Energy is a non-fiction book dealing with the economies of energy industries. Both of these projects involved concepting the designs with involvement and feedback from the authors, an delivering final-format production PDFs (via InDesign, mostly) to their printing platform of choice. Below: Logo design and render for Vista Continental, an international rare-earth minerals mining company, including a logo, stationery set, and a series of full-page announcement ads for the Wall Street Journal and the UK's Globe and Mail.